Regardless the design and manufacturing process, the basic raw material for producing rayon or rayon textiles is cellulose. 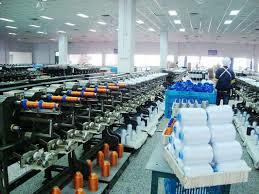 Rayon Textile has literally captured the market with fast pace and are in huge demand nowadays. The future of rayon textiles is very bright. There is always a growing need for rayon fabric worldwide and there are various new technologies which promise to make rayon much better and cheaper as well. The main sources for getting natural cellulose is wood pulp which is usually obtained from pine, hemlock trees, spruce, and cotton linters. These cotton linters are actually residual fibers, which get cling to the cotton seed after the ginning process. As strictly saying, rayon textiles are made up of manufactured fibre, mainly composing regenerated cellulose. Rayon Textiles legal explanation also includes the name of manufactured fibers in which the substitutes have basically not replaced for more than 15 % of the hydrogen’s. However, the regular manufacturing process for the entire rayon textile is similar; this fiber can be precisely engineered to process a variety of materials and adding extra functions. There are so many factors included in the manufacturing process which can be altered in order to get an array of designs. These different kinds of rayon textiles actually differ in the use of raw material, processing with some other chemicals, diameter of fabrics, blend ration and post treatments. These all can be easily manipulated to get a fine rayon textile that is totally customized for some specific application. Viscose or regular rayon textile is the most relevant, versatile and successful rayon fabrics. 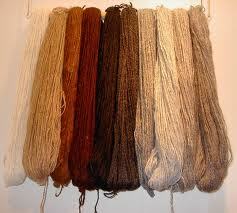 It can easily be blended with other man-made or natural fibers and processed into textiles of varying weight and design. This rayon fabric is highly absorbent, comparably economical and comfortable to wear as well. Overexposing to light may damage material, hence; it is best wearable for cold climate. Also, mildew, acid and exposing to high temperatures such as heavy ironing may also result in damage of rayon fabric luster. Fortunately, these facts can be precisely countered by treating with chemicals and blending rayon with some other fibers of offsetting characteristics. High-wet-modulus i.e. HWM rayon textile is a stronger fiber than viscous or regular rayon. In fact, it is more similar to cotton than to basic rayon textile. It has a better elastic backup than viscous rayon fabric, and the fabrics containing HWM rayon are much easier to care for. They can be regularly machined washed and even hand washed, whereas those fabrics containing viscous rayon generally have to be dry-cleaned. Establishing the present body of knowledge with future techniques its development will definitely increase. Knowing more about the structure and its chemical reactivity with other fabrics, some scientists claim it may be soon possible to make the basic building material of rayon textile directly from sunlight, carbon dioxide and water. If really this technique proved too effective with time, then the growing demand of man-made fabrics can be easily quest to provide some other best raw materials.